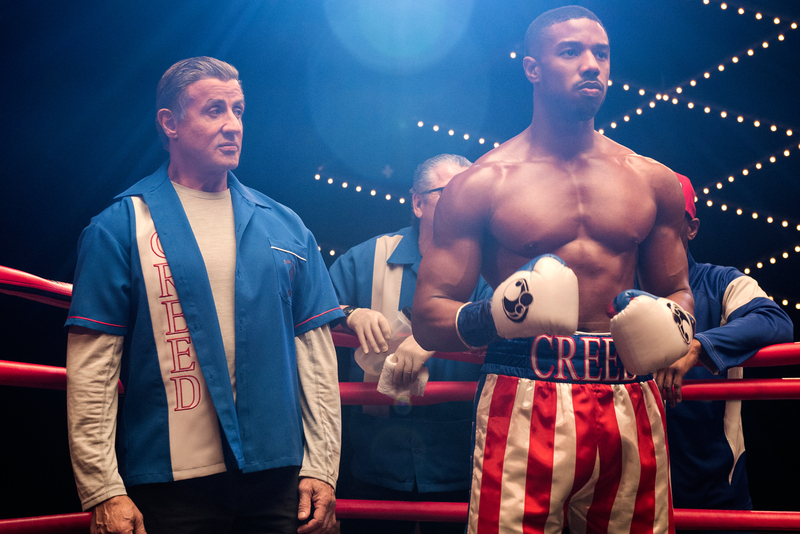 A few years back, when Creed (2015) dropped, many, including myself, were pleasantly surprised by just how well writer-director Ryan Coogler handled the Rocky Balboa spin-off, making it feel relevant to an audience still in love with Sylvester Stallone’s on-screen boxing legend. A large part of its appeal was the genuine investment into the deeply conflicted character of Adonis Creed (Michael B. Jordan) — his anger and pain, contrasted with the wise outlook of mentor Rocky and the growing love with his partially deaf neighbor Bianca (Tessa Thompson). This central trio felt like an organic fit into the Rocky saga, without ever feeling like wishful fan fiction. While I enjoyed the initial Creed and welcomed the prospect of more, the future became uncertain when Coogler was tapped to helm Marvel’s mega-hit Black Panther (2018). Even more concerning was that the director stepping in would be, quite frankly, a nobody, in Steven Caple Jr. whose work was primarily based in shorts. Coogler at least had the critically acclaimed Fruitvale Station (2013) under his belt and a hunger to grow. I was also very keen to see what Coogler’s blockbuster experience could bring to a smaller film, but it may be some time before we see that, with his star at an all-time high. … waiting for a good punchline. The good news is that Steven Caple Jr. does deliver in this continuation of the Creed legend. While the story can, at times, feel like it’s piling on the sort of relentless obstacles that soap-operas spread out over a year — wedding, pregnancy, baby problems, family rivalries and oh yeah, a boxing career — I suppose this was inevitable, with this being a sequel. After all, isn’t the usual idea to double-down on things? The narrative picks up three years after the original, with Adonis Creed finally securing the World Heavyweight Championship. Riding the high, he proposes to his singer/ songwriter girlfriend Bianca, and they begin to contemplate a new life for themselves in Los Angeles, leaving Philadelphia, as well as Adonis’ close friend and teacher Rocky Balboa. 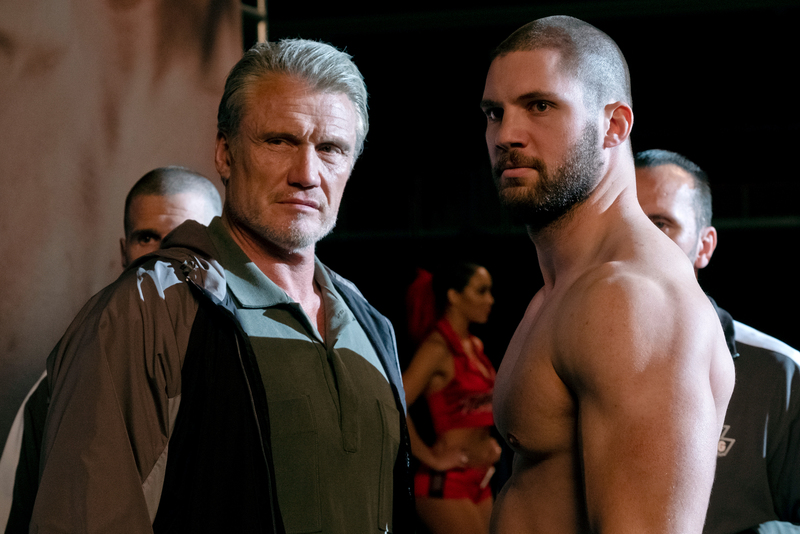 Meanwhile, a ghost from the past in former Soviet boxer Ivan Drago (Dolph Lundgren) returns with his son Viktor (Florian Munteanu) to challenge Adonis to a grudge match, 33 years after the events of 1985’s Rocky IV. The stakes are extremely personal with Ivan having killed Adonis’ father Apollo (Carl Weathers) in the ring and Rocky subsequently defeating Ivan, disgracing him in front of his home turf decades ago. Naturally, the boxing challenge causes a deep, tense rift between Adonis, his friends, and his family as he comes face to face with his past, present, and future. Coogler’s Creed certainly set up an intense anger in Adonis and his desire to fulfill a destiny in the ring, partly fuelled by his father Apollo’s tragic absence. Here, new scribes Cheo Hodari Coker, Notorious (2009), and Sascha Penn — working with screenwriters Sylvester Stallone, The Expendables 3 (2014), and Juel Taylor — have zoned in on the perfect way to capitalize on the character’s setup. The reignited rivalry between Ivan Drago and Rocky Balboa is an irresistible lure for fans of the Rocky series, along with the notion of two sons driven by loss — Viktor and his absent mother Ludmilla (Brigitte Nielsen), and Adonis, who wants to move beyond the shadow of his late father. The angst between the rival clans is intensely palpable and actually feels dangerous. When Ivan repeats a callback to his infamous phrase from Rocky IV, ‘Break him,’ fans know that he means it. While the fighting scenes may lack the unique creative flavors of Coogler’s original, they work within a workmanship-like quality, filmmakers trusting that people’s investment in these characters is enough to carry the sequences through — and they usually do. Michael B. Jordan’s bare passion is contrasted against the steely focus of Florian ‘Big Nasty’ Munteanu in a couple of very intense boxing matches that almost made me feel as though I was watching a real-life smackdown. In the wings, the supporting players are given their moments to shine, with Sylvester Stallone still coming across as warm and humble as ever (we never find out whether he got that darn street light fixed though). Tessa Thompson, Thor: Ragnarok (2017), acts as a kind of proxy for the audience, voicing their concerns and exhibiting genuine chemistry with Michael B. Jordan, whose dedication and natural charisma makes him magnetic on screen. The highlight, though, might just be Dolph Lundgren, Universal Soldier (1992), who’s been lost in a sea of forgettable B-movie choices and television shows. 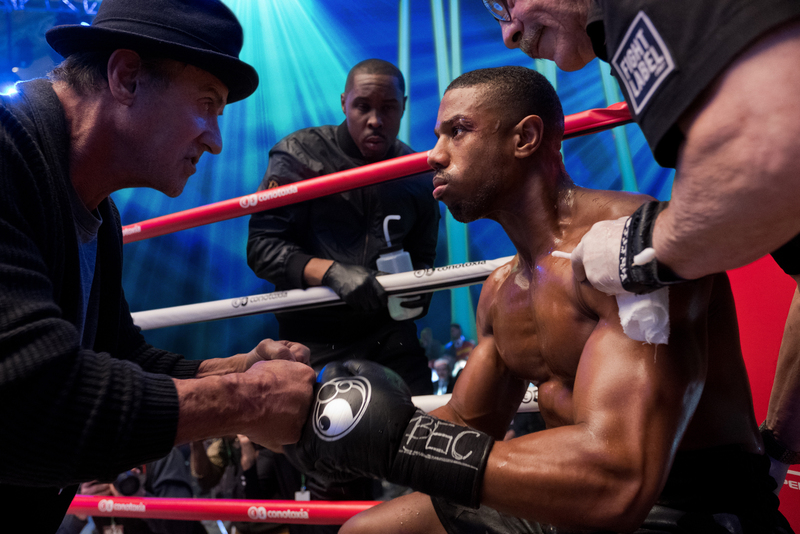 Given the right role, Creed II proves that Lundgren can still make for a mean on-screen presence, one capable of wringing the pathos when called for. Two scenes where Lundgren’s Ivan attempts to comfort a rattled Viktor feel like genuine father-son moments. All in all, Creed II is a solid follow-up that’s sure to keep Rocky/ Creed fans happy, delivering on the boxing goods and remaining true to its characters’ motivations and histories. Much like the first outing, the feeling by the end credits is that although this second chapter is complete, there may be more tales to come. And for now, that still strikes me as a good thing.